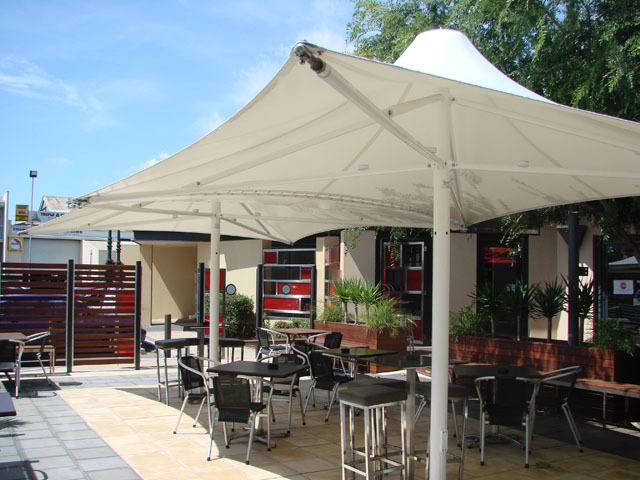 As part of continuing renovations and general upgrade of The Royal Hotel, Kensington, Shadeform was engaged to supply and install these two Q14 Centre Post Umbrellas. 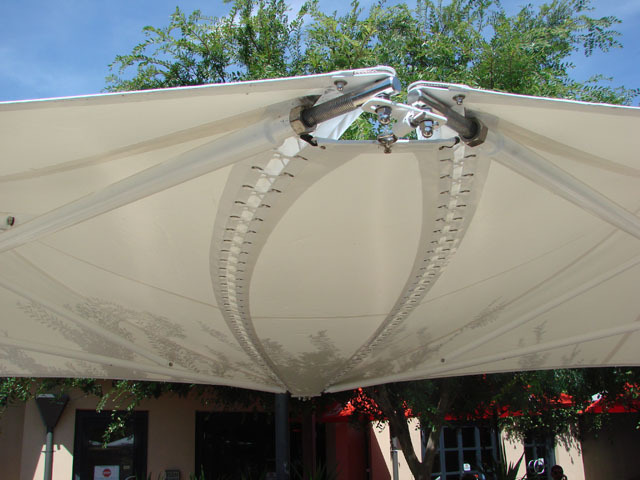 The umbrellas feature a custom link panel to provide continuous waterproof protection between the umbrellas. The total coverage of the units with link panel is approximately 37 sqm - this provides valuable commercial space with year round protection. Shadeform has the experience and ability to design, manufacture, install and project manage your project from inception through to installation.